Not all rust preventatives are created equal. In fact, Cosmoline’s line of rust preventatives were engineered for specific applications, materials, and conditions. Finding the right rust preventative is about knowing what you’re working with and what you need and expect out of treating it. Will you be storing the piece or shipping it? Is it for an outside or inside application? Knowing what you need a rust preventative to do will determine which one you ultimately go with. To help, here are all the questions you should ask yourself to decide on the right treatment for your project. Where will the parts or piece be stored? The needs of a part will change depending on where it is stored. Storing it inside a temperature-controlled building will require vastly different protection than something being stored outside, or even outside in something like a shed or garage. Exposure to different temperature ranges and weather can make even a great indoor rust preventative useless. How long will the pieces be in storage? How long will they be in transit if shipped? Any rust preventative you pick up will differ in the length of protection it can provide. If you need to ship something over long distances or store your parts for a period of time, you’ll need a protectant that can meet the requirement. Different types of metals will require different kinds of rust preventative. Knowing the composition of your parts or whether they include ferrous or nonferrous metals is key in selecting the perfect protectant. If you’re using different kinds of metal in the same project, you’ll have to account for that as well. What kind of protection film is required? Most rust preventatives will dry completely to the touch, whereas others may end up feeling tacky. If you’re using a protection film, it may be more effective to go for a dry or tacky touch, depending on the parts and the film you use. If you’re not using film, then how the rust preventative dries may not matter. What is your desired dry-to-handle time? Each protectant will have a different drying time, and if parts are handled before they’re dry, the preventative might be removed in the process. Whether you need to handle parts quickly or you’re short on time, make sure to choose a protectant with the right drying time. Where you work and apply the protectant will impact its ability to dry properly. If you’re working in very cold or very warm areas, be sure to use a rust preventative that is appropriate to the temperature range for optimal results. Will your parts be subject to corrosive fumes and vapors? 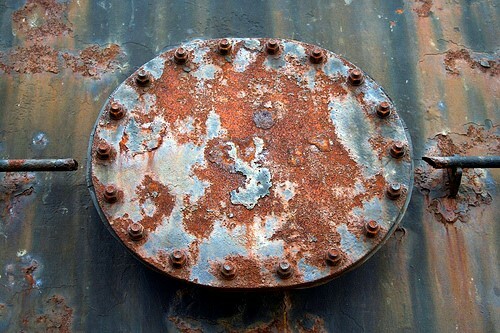 Not every rust preventative can withstand exposure to corrosive fumes and vapors. In the case of protectants that fail to withstand either, the rust preventative may be stripped away by the fumes and/or vapors, leaving your parts defenseless against rust. Are parts exposed to salt spray or high-humidity conditions? For parts being used or stored in high humidity, or in areas subjected to salt spray, choose a rust preventative that can weather these conditions without being stripped away. Salt spray and high humidity can both encourage rust and it’s important to use something strong enough to prevent rust while also being strong enough to handle those conditions without losing efficacy. How will the preventative be applied (spray, dip, brush)? Depending on the size and shape (or quantity) of the pieces that need a protectant, some application methods may be simpler. Keep in mind: some rust preventatives perform better when applied by certain means. Be sure to choose one that will work with the application method you’ve chosen. Will your parts be wet when introduced to the rust preventative? Regardless of the reason your parts may be wet, not every rust preventative has water displacing properties. Applying such a coating to wet parts will result in uneven coatings, and thus inefficient rust protection. You can either wait for the parts to dry and then apply your rust preventative, or find one that displaces water and go with that. What is the storage temperature range? Not all rust preventatives can protect parts in the same range of temperatures. Depending on where your parts are kept, you may need to choose a protectant specifically designed for warm or cold temperatures. Noting the temperature of your storage will help you decide on the right preventative. If you don’t remove the coating, do you need it to have lubricating qualities? Some coatings may not provide the lubrication necessary for moving parts. If you require something with lubricating properties, check the back of the rust preventative. Nearly all protectants will state if the coating is lubricating or not. Otherwise, using the wrong coating may cause it to wear off prematurely or affect the parts performance. Must the protective coating be removed before plating or painting? To ensure an effective coating, the surface of the parts should be thoroughly cleaned. This ensures proper adhesion. Trying to introduce a rust preventative after plating or painting may be difficult or impossible if either affects the adhesion of the coating. The choice to protect your parts from rust is an easy one, but choosing the right preventative for the job is anything but. Being aware of your parts and the conditions they’ll be subject to will help you in finding the perfect rust preventative for the job. Our line of Cosmoline products feature a range of applications to cover a variety of uses and parts.